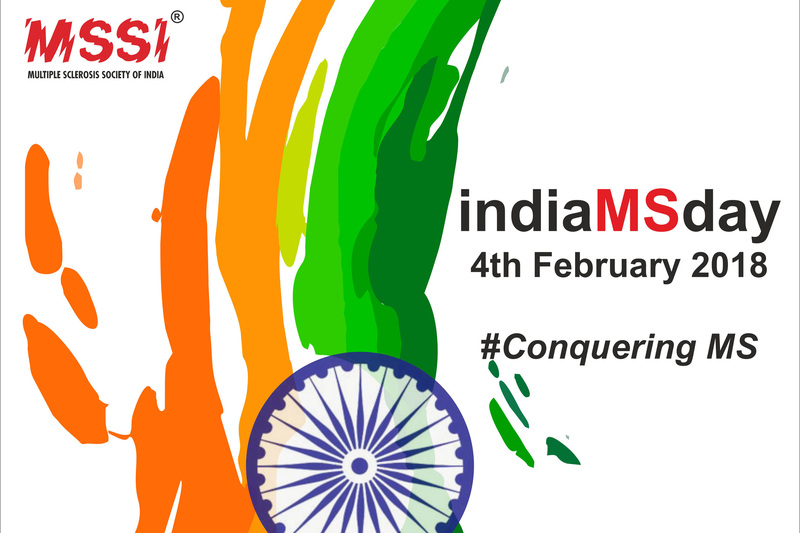 Multiple Sclerosis Society of India, (MSSI) MS WalK on INDIA MS DAY MSSI Mumbai Chapter had organised MS Walk to observe India MS Day on Sunday 4th Feb 2018 from 7am- 10am at Shivaji Park Ground, Dadar. In all more than 250 participants, including MS persons, caregivers, donors, friends & college students participated. We were graced by the presence of : Mr.Pravin Amre, National Cricketer, who was appointed as the Head of Talent Hunt for IPL franchise Delhi Daredevils & President, Shivaji Park Gymkhana. And also Senior Neurologist Dr.Sarosh Katrak . 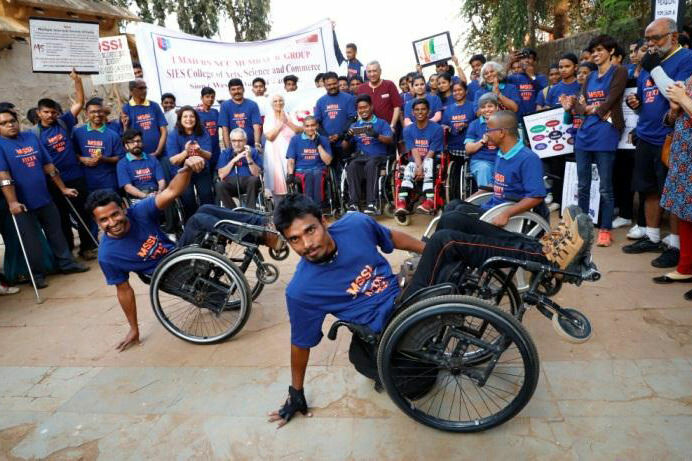 We were happy to have amongst us, Dr. Rekha Bhatkhande, Former Dean of Shushrusha Hospital and Dr Ketna Mehta, Founder of Nina Foundation, NGO for Spinal Cord Injury, with her team of 10 wheel chair persons. 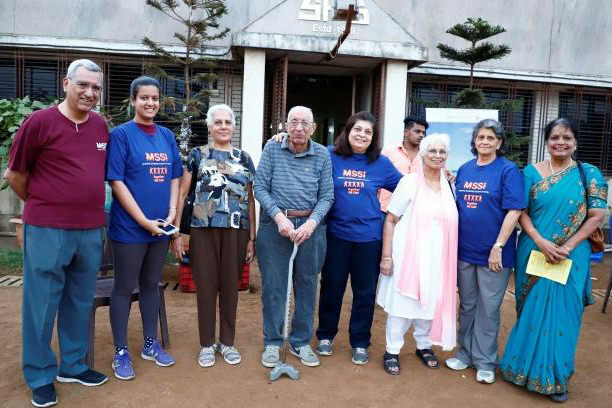 A special mention has to be made of Mr.Sultan Fazelbhoy, Patron Member & Donor, who at the age of 90 years attended the MS Walk. Soon after registrations, Sundari Raju, Hon Secretary welcomed all present. 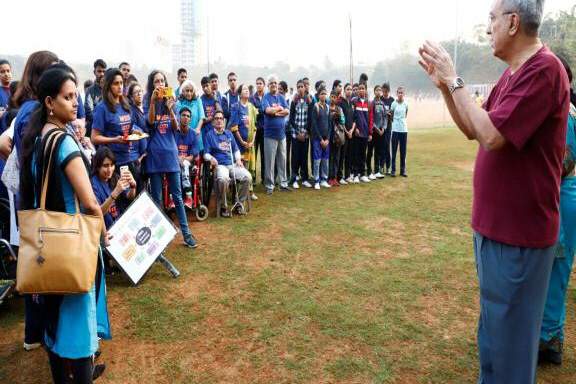 She appealed to the audience to Support MS cause & spread MS Awareness. Thereafter Dr. Katrak briefed the audience on the disease Multiple Sclerosis. MSP Aashika born & brought in Los Angeles was present and she shared her experience of living with MS, with all the young ones present. 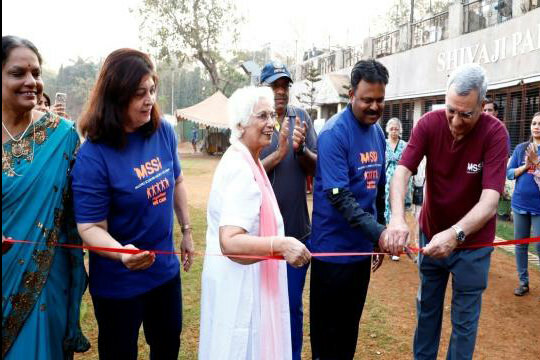 Then Dr. Katrak & Pravin Amre inaugurated the MS Walk by cutting of the ribbon along with MSSI Committee Members. 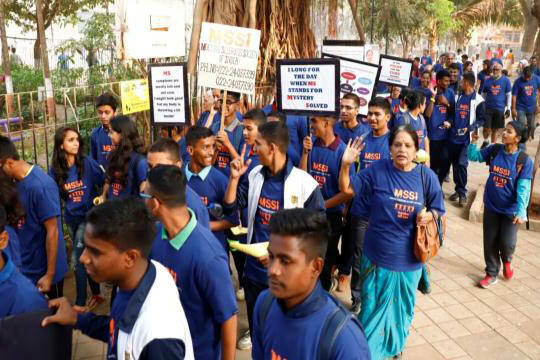 It was a symbolic walk where the students of SIES College & NK College walked along holding placards & banners with inspiring Messages. 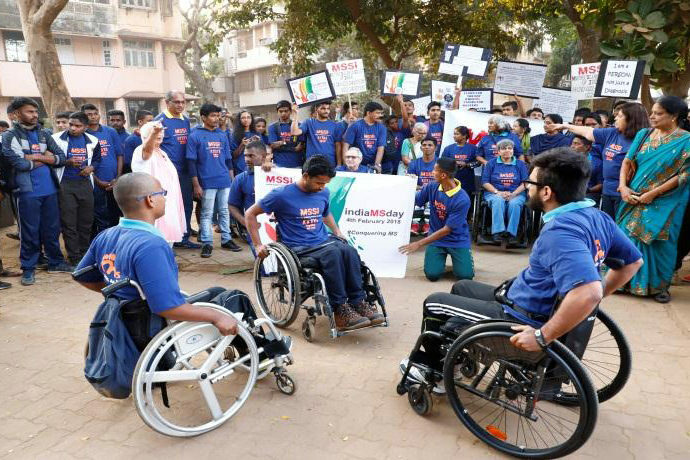 A special mention has to be made of MSP Imran Qureshi, who along with other wheelchair users, enthusiastically performed wheelchair dances. After the Walk MSSI distributed sumptuous hot wada pav & tea to all present. As it was a Sunday morning, Shivaji Park ground was crowded with morning walkers & joggers whom we were able to attract.MS pamphlets were distributed to general public. 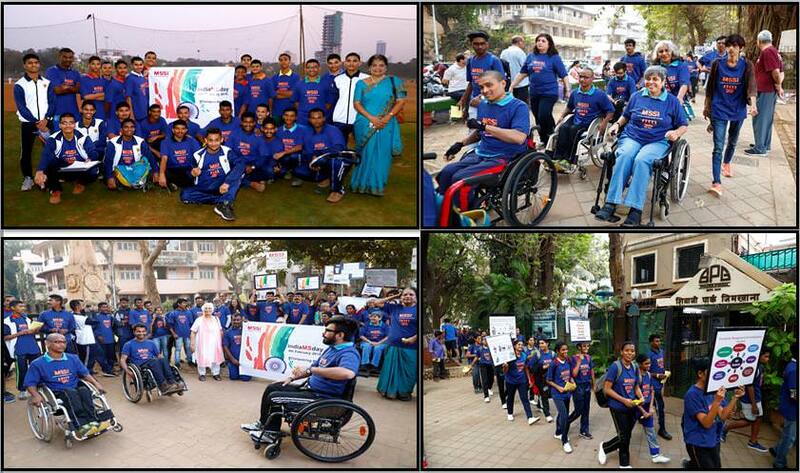 We are grateful to: Dr Sarosh Katrak , Pravin Amre for their presence at our Walk, to the Managing Committee Members of Shivaji Park Gymkhana for providing us free venue , to Mr. Sunil Jhangiani for donating blue T shirts which brought fantastically colourful look at Shivaji Park. 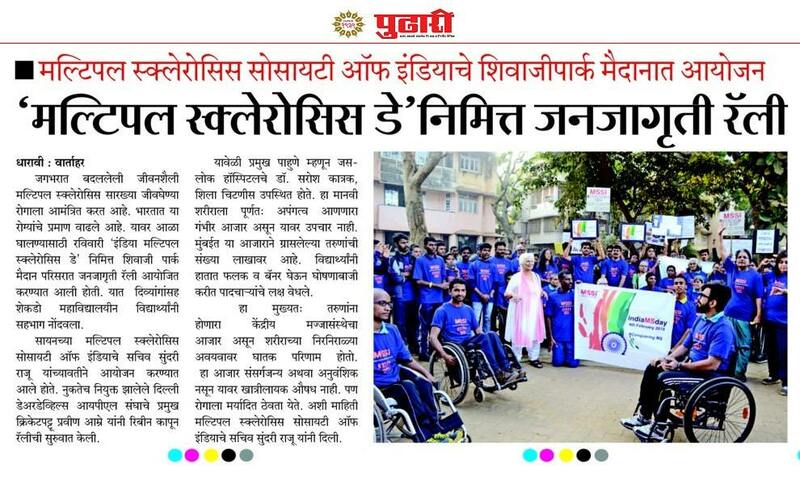 This Event was covered by Marathi Newspaper Pudhari.